MacGregor, part of Cargotec, has won davit orders for two low-emission 81m service operation vessels (SOVs) designed to act as 'mother-ships' for wind turbine technicians. The contracts have been placed by Spanish shipyard GONDAN, responsible for the construction of the SOVs. The order was booked in Cargotec's 2016 third quarter order intake. The SOVs have been ordered by Norwegian operator Østensjø Rederi. They will serve UK-headquartered DONG Energy's Race Bank and Project One offshore wind farms in the North Sea. Each vessel will be fitted with a MacGregor HMD G110 davit designed for launching and recovery of personnel-carrying 'daughter' craft and a MacGregor HMD A34 davit designed for launching and recovery of rescue boats. "Even though the offshore market is experiencing low investment levels, there is a need for this kind of equipment, and customers trust us by ordering MacGregor davit systems," says Esko Karvonen, Head of Smart Ocean Technology division, MacGregor. "This is mainly because our systems are at the high end of the quality scale with a strong focus on performance and reliability." 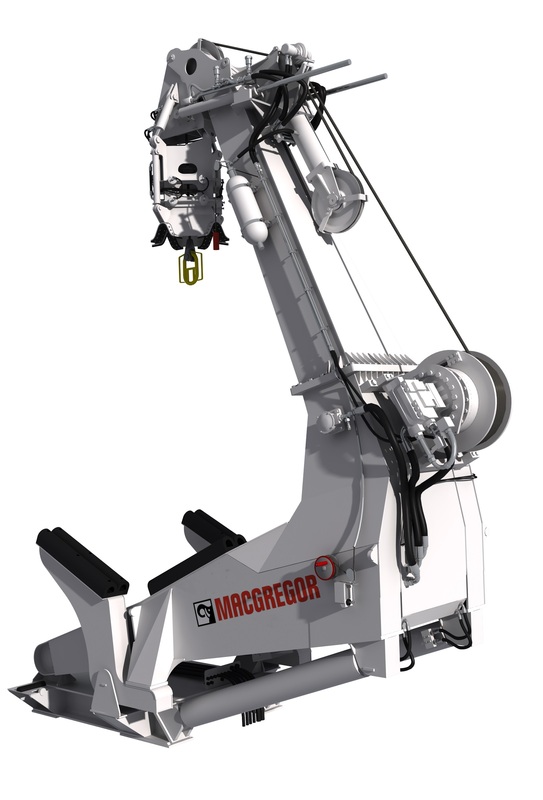 The MacGregor G110 davit has an 11-tonne lifting capacity. The delivery includes a high-speed winch system, anti-pendulum docking head and an automatic parking cradle for the craft. The anti-pendulum docking head, together with a painter line boom, ensure the safe launch and recovery of the craft even in rough sea conditions. The MacGregor A34 Davit has a 3.4-tonne lifting capacity. 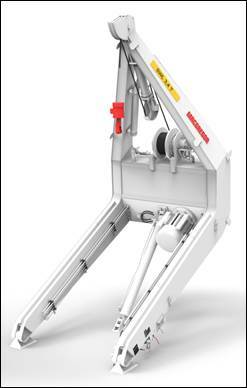 It includes a high-speed winch system, constant tension mode and a shock-dampening system. 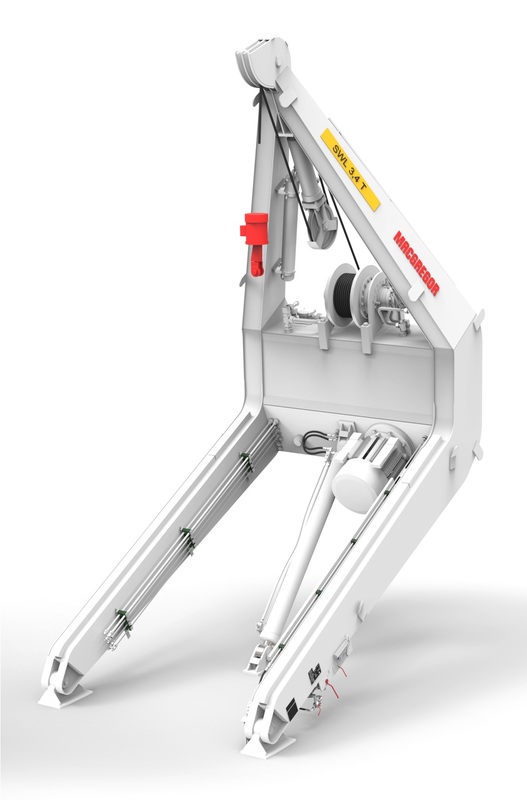 "MacGregor has a long and successful reputation for delivering advanced launch-and-recovery systems and this order confirms MacGregor's position as a manufacturer of advanced davit systems," says Bjørnar Bakke, MacGregor Sales Manager. "MacGregor's G-type davits have a well-proven design with high performance solutions and trusted reliability," continues Mr Bakke. "We have delivered over a thousand davit systems and constantly adapt these systems to meet our customers' needs. We have worked closely with Østensjø at the early stages of the project to ensure that the davit systems are the perfect fit for the vessels and their operational criteria. "We are pleased to be able to continue our cooperation with Gondán Shipyard and Østensjø with the delivery of these advanced davit systems to a growing and interesting market," he adds. Davit systems for the first vessel (Gondán C470) will be delivered in June 2017, while davit systems for the second vessel (Gondán C471) will be delivered in December 2017. The vessels are scheduled for delivery in 2018. Caption: The MacGregor G110 davit is especially designed for the offshore wind market and will be used for launch and recovery of a daughter craft.